We take 100 days to turn this milk into the World's Finest Swiss Cheese. Their cheese making expertise and perfectly controlled curing produce just the right, rich, nutty accents that Finlandia Swiss is known for. 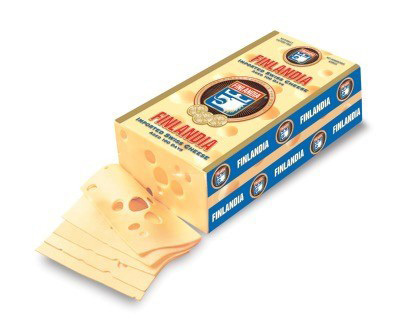 Finlandia is the #1 Imported Swiss Cheese in the United States. Finlandia Swiss is naturally lactose-free and low in sodium. It is also hormone-free since the use of Rbst or other growth hormones is not permitted in Finland.